In this Blog I will be explaining Steps to be followed when you plan for SAP MDM 7.1 Migration Heterogeneous Migration when your Changing you Database or OS from source to target. 1) Login to MDM Console and Mount MDM Server and connect to repository via user ID and password. 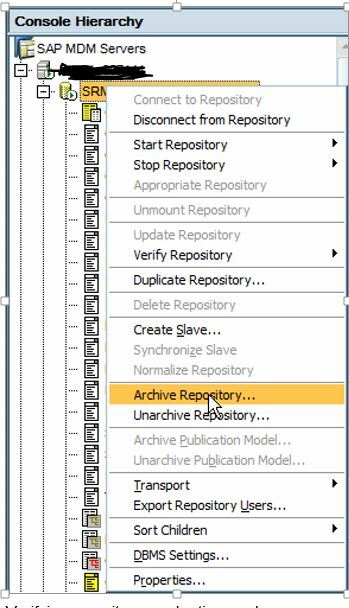 3) Once all the repository are archived Successfully. 4) Install same source version of MDM server n as per the below blog explained with Screen shot. 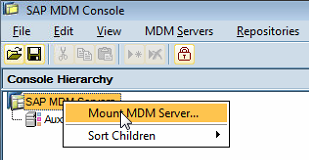 5) Once Installation of MDM Server is done,login to MDM Console and mount target MDM Server on MDM Console. 7) Please specify the Database details and user ID and password to be connected to MDM Server and Unarchive the repository.